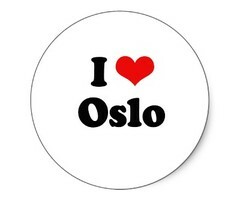 Needless to say, the events of yesterday in Oslo are profoundly shocking. I’ve got nothing useful to add to the discussion or analysis on this topic other than to remind you, dear reader, to try to eschew the myriad of Scandinavian right-wing terror experts that will inevitably emerge in the coming days like Gremlins dunked in water. I’ll end with this rather beautiful quote used by the Norwegian Prime Minister. Ordinarily, I’d mock such sentiments for being overly soppy or even mawkish, but on this occasion, I think that it’s apropos. If one man can display so much hate, consider how much love we can create together. A perfectly reasonable point, thanks for contributing it.